Green Venture officially began operating in 1995, making 2015 our 20th anniversary. Although we’ll be marking this special occasion with an amazing event called UpRoot Hamilton (which you can read more about), we’ve also taken the time to think about our past 20 years, and the amazing journey we’ve been on as we try to make Hamilton and area the most environmentally friendly place to live, one day, and one action, at a time. 1994- Green Venture is founded as part of a provincial “Green Communities Program” under the direction of the Region of Hamilton-Wentworth. Green Venture’s Jackson Square Storefront location. Yes, we do still have that neon sign! 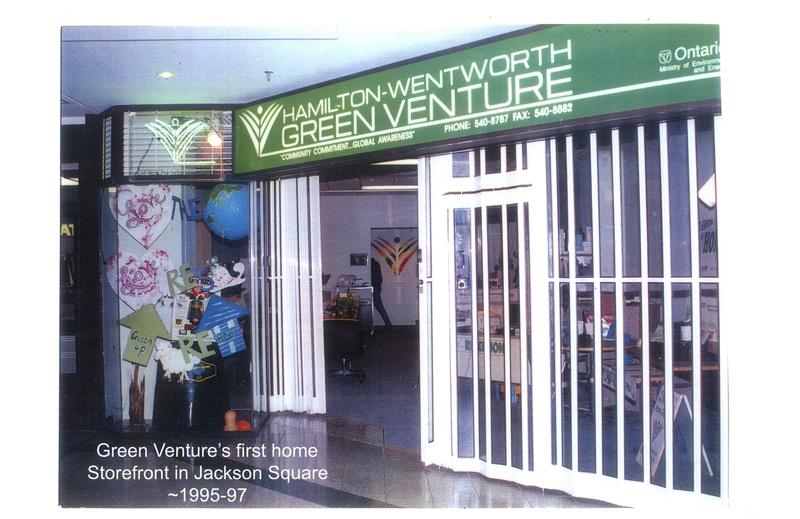 1995- A Jackson Square storefront becomes Green Venture’s first office space. 1996- Following the cancellation of the “Green Communities” program, Green Venture becomes an independent not-for-profit organization, hiring Heather Donison as its new Executive Director. 2000- In partnership with the Hamilton Air Quality Improvement Committee, Green Venture launches the Region’s first annual Commuter Challenge. 2003- Green Venture secures the use of the Veevers Estate in Hamilton’s East End and begins renovations to transform the space into an environmental education and demonstration centre. 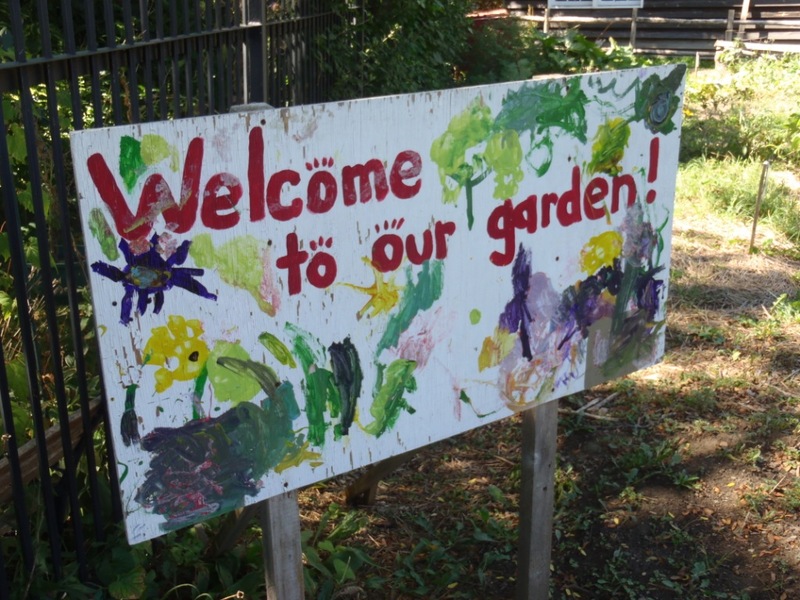 The first welcome sign to the EcoHouse Community Garden. 2005- The EcoHouse Community Garden is established as a prototype garden for the region. Its popularity encourages over 70 other community gardens to be created city-wide over the next several years. 2007- After six years as a staff member, Pete Wobschall becomes Green Venture’s Executive Director. During his tenure, he guides the organization through the development of a revised mission, vision and values. 2008- Solar panels and a wind turbine are installed onsite at EcoHouse, allowing visitors to explore the pros and cons of installing alternative energy at their own home. 2009- The Enbridge Home Weatherization Retrofit Program is launched. With a goal of assisting residents in reducing their energy bills while improving the efficiency of their home, it quickly becomes one of Green Venture’s most in-demand programs. 2010- The first Seedy Saturday event is launched. Today, the event, co-hosted by Green Venture and the Hamilton Community Garden Network, attracts hundreds of eager gardeners each winter. 2011- With assistance from the Ontario Trillium Foundation, the Bay Area Restoration Council and Green Venture create an easy-to-access education centre focusing on Hamilton Harbour Watershed issues. 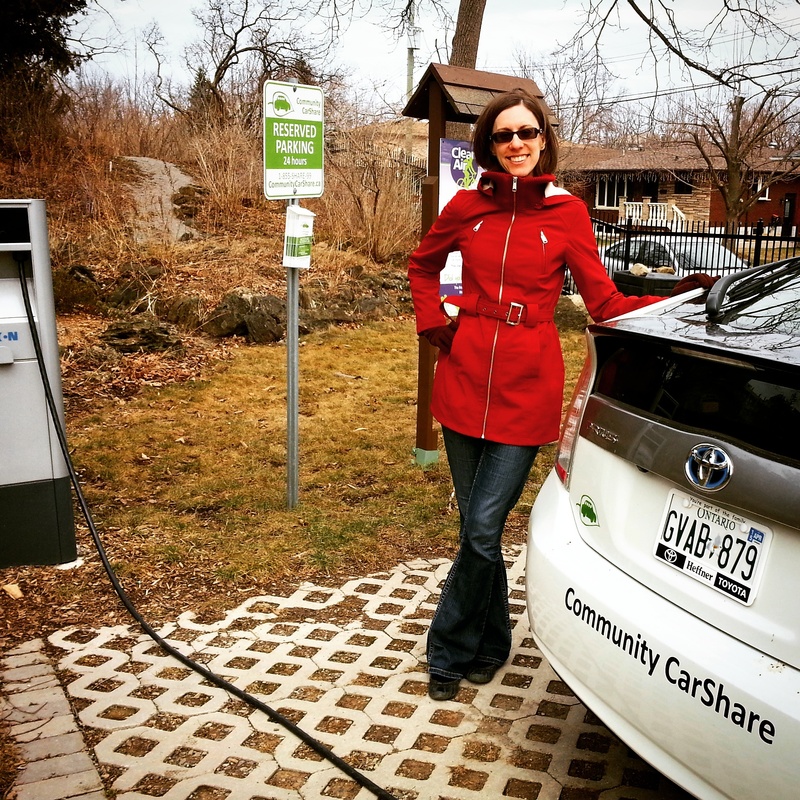 Kathryn Enders, Green Venture’s current Executive Director, with one of our newest displays- a plug-in hybrid CarShare car! 2013- Kathryn Enders is hired as Green Venture’s Executive Director. In the same year, she travels to Mexico on behalf of Green Communities Canada to present at the Commission for Environmental Co-operation about the success of the Depave program. 2014- EcoHouse Educational Tours increase by 19% from the previous year, solidifying Green Venture’s place as the region’s premiere environmental demonstration and education facility. 2015- Green Venture completes their participation in the Good To Great program, leading to a renewed emphasis on revenue diversification, including the launch of special fundraising events and donor campaigns.